FOR IMMEDIATE RELEASE: Lewiston, Maine (January 5, 2018) – New England Fights (NEF) returns to Lewiston on Saturday, February 3, 2018 with the fight promotion’s next mixed-martial-arts event, “NEF 32: Super Saturday.” Earlier today, NEF announced the addition of an amateur featherweight bout to the card. 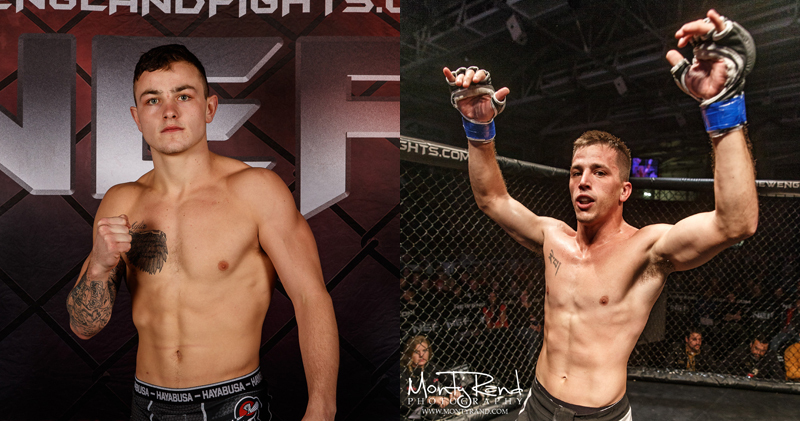 Shawn Lunghi (2-0) will return to Maine to take on Devin Corson (1-0) at a fight weight of 145-pounds. Shawn Lunghi made his debut in the NEF cage in the fall of 2016. He faced off with a much more experienced Alex Clark (4-2) that evening and impressed many with his performance. Lunghi would pick up the win with a second round submission. The Tampa, Florida native would follow up that win with yet another victory this past spring in his home state. Later in the year, he earned his brown belt in Brazilian Jiu-Jitsu at Robson Moura Nations United (RMNU). At “NEF 32,” Lunghi will look to avenge a loss suffered by his teammate Winston Cortez (0-1) against Devin Corson (1-0) at “NEF 27″ last year. In addition, a win over Corson would put Lunghi in a position to challenge for the NEF MMA Amateur Featherweight Title at a later date. Devin Corson made his NEF debut in early 2017 at the young age of 19. He sent the crowd into a frenzy that night, repeatedly lifting Winston Cortez up over head and slamming him time and time again on his way to a unanimous decision victory. It was one of the most memorable debuts for any fighter in the NEF cage. Corson is a product of The Outlet Mixed Martial Arts Training Center based in Dexter, Maine.